It is a sure sign that Christmastime has arrived in Manhattan when the department stores begin to unveil their holiday windows. 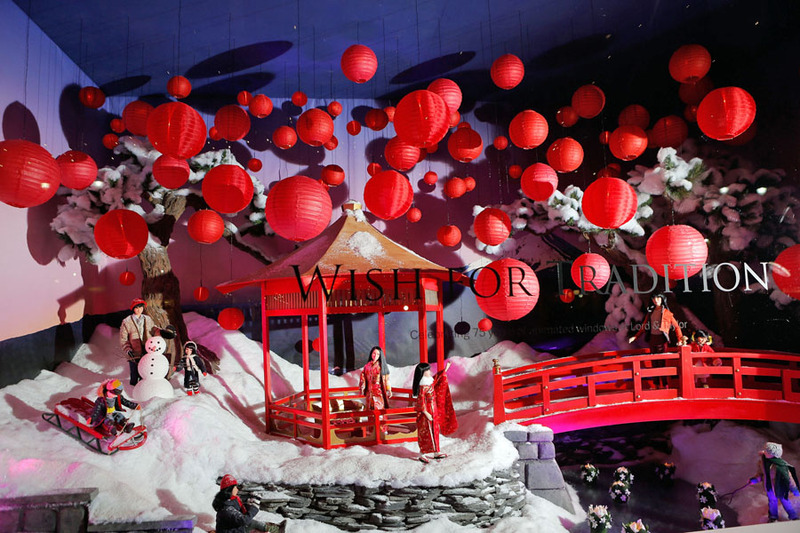 On Tuesday, a gloomy, rainy afternoon gave way to partly cloudy skies just in time for Lord & Taylor to reveal their annual “gift to New York City” marking the 75th year that the store has delighted pedestrians with this whimsical tradition. In 1938, Lord & Taylor became the first retailer to present animated holiday windows. 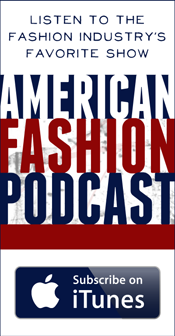 Each year the store’s DVP of Visual Merchandising, Roe Palerno, works with a team of over 50 people for six to eight months to create the window sets. They are built in a workshop beneath the sidewalk on Fifth Avenue and are the only department store windows on hydraulics. 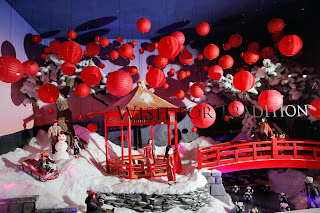 More than 250,000 people will pass by the visual spectacle daily during the 2012 holiday season. 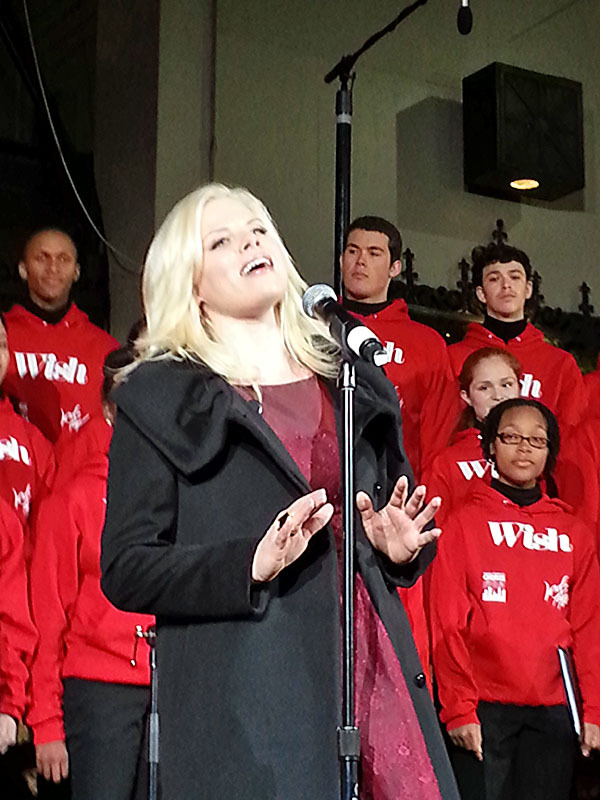 As night fell on Tuesday, members of the press, along with passersby, were treated to a performance of holiday music, featuring Megan Hilty, star of NBC’s Smash and The Young People’s Chorus of New York City. To warm up the crowd, men clad in snowflake patterned sweaters, served hot cocoa and gingerbread cookies. Following a countdown by Liz Rodbell, EVP Chief Merchant of Hudson’s Bay Company, the windows were unveiled for all to enjoy. This year’s windows feature scenes of Santa’s global expedition, beginning with him planning his trip in his workshop. On his illustrated travels, Santa visits an alpine marketplace, a snow-covered Central Park, a European family celebration, and a traditional Asian setting complete with colorful red lanterns. 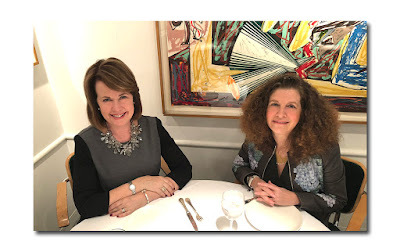 On Tuesday and Wednesday this week (November 13th and 14th), Lord & Taylor’s Fifth Avenue flagship store will host a “Charity Day” to benefit the Young People’s Chorus of New York City. In exchange for a $5.00 donation, customers will receive a $15.00 reward card, as well as a 20% savings pass to use all day and 15% off cosmetics and fragrances.